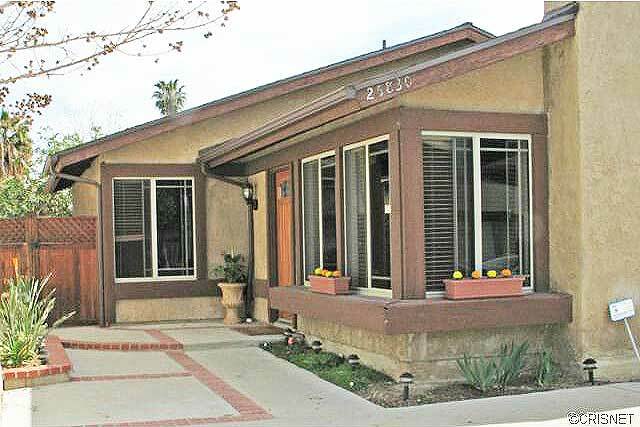 Check out this New Listing at 25830 Olivas Park Road, Valencia, CA, 91355 as of 02/21/2014 in the Valencia CA real estate area of homes for sale in Santa Clarita CA. This great home is located in the popular Valencia Meadows tract in Valencia 1 neighborhood and has 4 bedrooms and 2 baths and 1324 square feet. This home is located off McBean. Close to Santa Clarita paseo and California Institute of the Arts. See more below. Beautiful Home on quiet street close to the paseo’s on a cul-de-sac .4 bedrooms, 2 bath , in ground spa in backyard, beautifully maintained. newer roof. no HOA or Mello Roos, one of the few left in the area! Granite and custom cabinets in kitchen. Meadows School and Park near by. This Valencia CA home for sale at 25830 Olivas Park Road, Valencia, CA, 91355 has great access to the Golden State Freeway. This is a standard sale. Schools for this home are Hart High School and Placerita Junior High School and Meadows Elementary school. All excellent schools and one of the reasons many new home owners with children find reason to purchase in the Valencia Meadows tract.